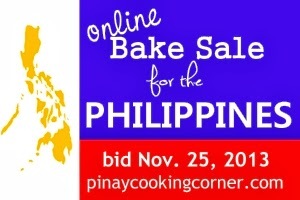 Pinay In Texas Cooking Corner: ***UPDATE*** Online Bake Sale for the Philippines: MEET THE BAKERS/DONORS! 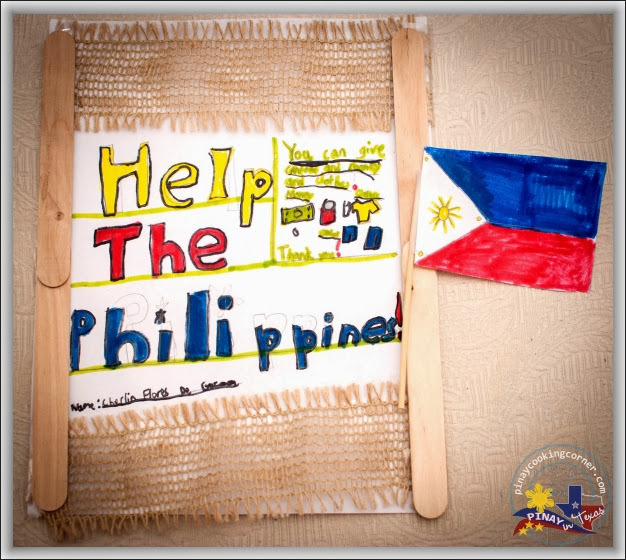 ***UPDATE*** Online Bake Sale for the Philippines: MEET THE BAKERS/DONORS! With just 4 days left before the bake sale goes live, I would like to take this opportunity to tell everyone that I am truly thankful for all the support I am getting for this event which will benefit Sagip Kapamilya, an emergency humanitarian assistance program of ABS-CBN Foundation, Inc. which provides food and non-food relief to affected communities of disasters, and do rehabilitation and disaster risk reduction projects. We now have a total of 43 baked goodies for auction coming from 38 bakers/bloggers including myself. Even Sabrina Modelle of The Tomato Tart who hosted the successful Online Bake Sale for Japan in 2011 is now with us in this Online Bake Sale for the Philippines! We also have 3 cookbooks for auction from Dalyn Miller of DalynMIller PR and 5 grams of good quality Iranian saffron from Laura of Family Spice. We also have cash donation pledges from Corinne of Heart of Mary, Kate of Diethood, Sawsan of Chef in Disguise and Loreena Yeo of 3:16 Team Realty. And guess what??? Andrew Sigal, the founder/chairman of FoodPool, a California corporation headquartered in Oakland, CA will match the first $500 raised in our bake sale! That means we're $500 closer to our target goal! Thanks so much FoodPool! If there are still some of you out there who would like to donate baked goodies, we are still accepting pledges until tonight, 11:59 PST. Just fill out this form. And for those who would like to make flat donations or match any portion of the total sales, we will be accepting pledges until Sunday, Nov. 24 11:59 PST. Fill out this form for that. Please help us make this fundraiser a success! Keep on sharing this event with everyone you know! Email it to your friends, tweet about it with the hashtag #bakesale4pinas, share it on your blog, facebook, google+ or in any of your social networks. For complete details, visit ONLINE BAKE SALE FOR THE PHILIPPINES. And please rock our online bake sale badge to show support! Tomorrow, I will post a preview of the items that will be available for auction on Monday! Watch out for it! Looks like its going to be a great bake sale! How wonderful for the $500.00 pledge! And you were worried there wouldn't be enough participation. :) What a great turnout Tina and the donation from FoodPool is so very cool!!!! God Bless you tins and all the good souls who participated.